In New York, Turkey’s First Lady Emine Erdoğan says humanitarian aid policies should not increase the dependency of the recipients, but should focus on development. Lisa Cornish from Devex analyses the impact of the new government on Australia's aid and development program. 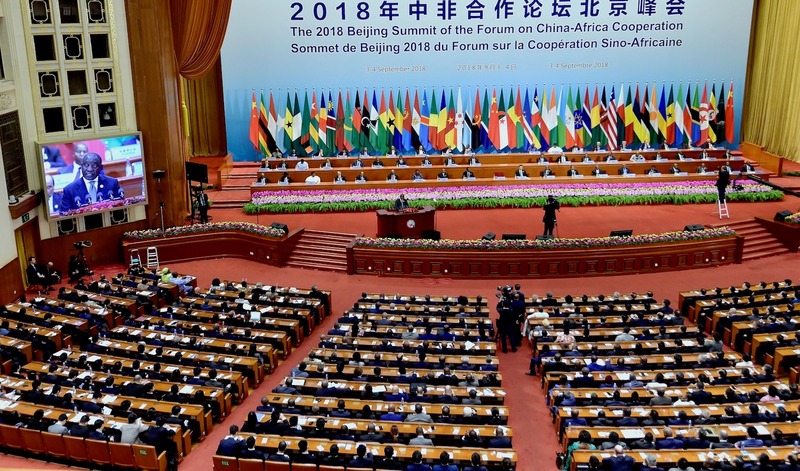 This month’s Forum on China-Africa Cooperation saw Xi Jinping cancel interest-free debt for Africa’s most heavily indebted, landlocked, and least-developed countries. Cornelia Tremann discusses the impact of such measures on the global narrative of Chinese aid, and explains what else needs to be done for the reputation of China’s aid to improve. Emma Samman, from the Overseas Development Institute, explains why crisis and fragility harm the Sustainable Development Goals agreed in 2015, and gives governments few directions to help them to ‘leave no one behind’. Interesting article from The Economist explaining why Chinese philanthropy isn't as important as in other big economies. Investing in Africa can be highly profitable. This is what Taxify, an Estonian boda boda ride hailing app, understood when it launched its operations five years ago in six African countries, challenging Uber. Jason Hickel and Charles Kenny attempt a consensus on the topic of global poverty, listing 12 points on which everyone should agree. In development economics, it is common to experiment with a solution before implementing it. In this piece, Noah Smith explains the replication crisis in economics - when researchers try to recreate the experiments that led to published findings, but only half of the results turn out the same as before. Australia can attempt to define its engagement with the initiative while it is still early days, or it can stick to playing by rules written by others.